If you're into numbers and statistics surrounding the BlackBerry PlayBook, the folks from Toronto-based Solutions Research Group have completed some new market research that reveals some interesting but not surprising growth. According to their survey, the BlackBerry PlayBook now holds 15 percent of the Canadian tablet market which is up 5 percent from previous surveys. Yigit was referencing the reports that Apple may be working on a smaller version of the iPad that could potentially see announcement soon, if it were to happen. With PlayBook OS 2.0 set to drop any day now, it will be interesting to see how many people show a greater interest in the PlayBook once updated. 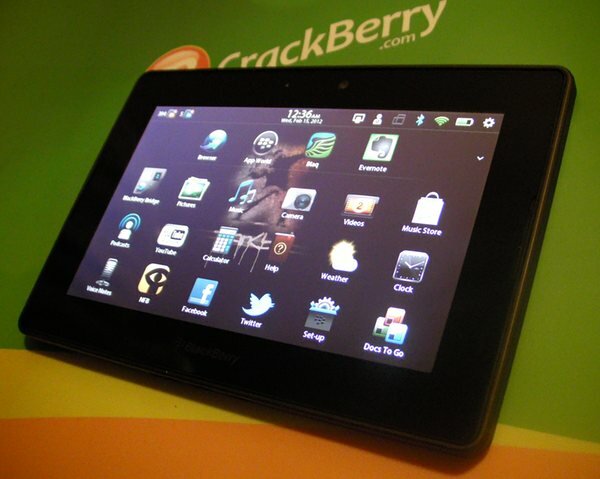 RIM selling the PlayBook at discounted pricing was indeed a smart move, they had nothing to really lose by doing so, but now that the PlayBooks are in people's hands, they'll have to follow up with some compelling software to keep them interested.